Doll Parts: Jayne Mansfield is en route to New Orleans after an appearance in Biloxi, Mississippi when a dense insecticide fog of anti-mosquito spray drifts across the highway. Mansfield is set to appear on WDSU's Midday Show the following day, but at 2:25AM on June 29, 1967, Mansfield's '66 Buick Electra crashes into the tractor-trailer, shearing off the top of the Electra. The three adults in the front seat - Mansfield, her lawyer/companion, and their 20-year-old driver - die instantly. Mansfield's children sleep in the backseat and survive with minor injuries. The gruesome crash scene photos spawn one of Hollywood's darkest legends. At the time of Mansfield's death, rumors circulate that the star was decapitated in the car crash. The stories are fueled by photos of the star's blonde hair tangled in the car's windshield. Although Mansfield's mode of death is gruesome, she was not beheaded. Scalping is a closer description of Mansfield's fate - according to the police report, "the upper portion of this white female's head was severed.” Mansfield's death certificate notes a “crushed skull with avulsion (forcible separation or detachment) of cranium and brain.” Her skull was cracked or sliced open, and a sizeable piece of it was carried away. 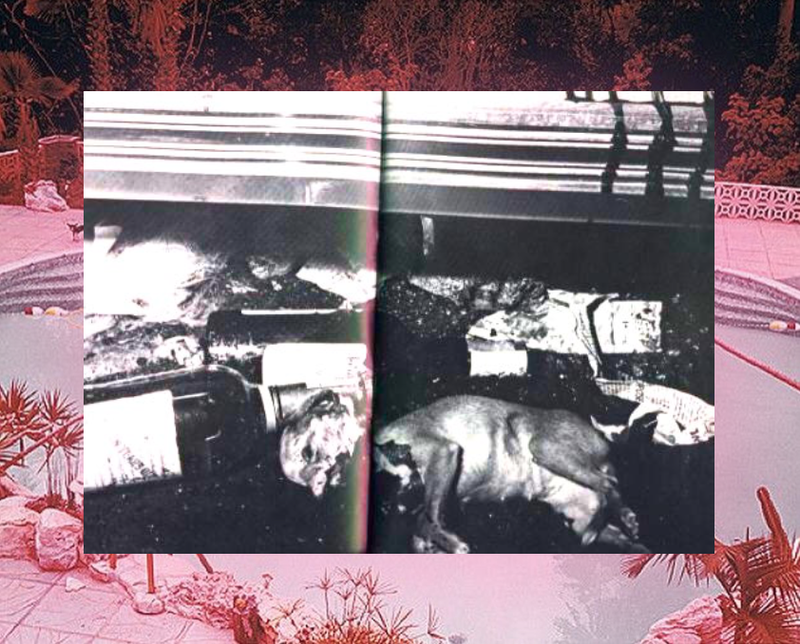 Kenneth Anger’s 1975 "Hollywood Babylon" contains the "controversial" photo of Mansfield's wrecked Electra which shows Mansfield’s dead dog lying beside the car as well as a clump of blonde hair.